Not a day goes by at Southern Accents that someone doesn’t stop in and pick up a skeleton key… sometimes two, three or a whole handful! Many customers are looking to replace a lost key to open their old door. Others are looking for the small keys that will fit the lock on an old antique cabinet while others just seem to have a fascination with antique keys and are looking to add to their collection. And then there are the jewelry makers… the use of skeleton keys in hand crafted jewelry is currently a hot trend. Once again, tapping into our love of history, we did a little research on keys. The purpose of a skeleton key is obviously to open a lock. Skeleton keys, also known as pass keys, are designed to open numerous locks, most commonly a warded lock. While some believe that a skeleton key derived it’s name because of it’s shape and resemblance to a skull, the name actually comes from the fact that the key is stripped down like a skeleton to it’s most essential parts: a cylindrical shank with a single rectangular tooth. The shank can be solid or a barrel shank which resembles the barrel of a gun. This photo shows an example of a barrel shank and a solid shank skeleton key. The first locks and keys were made of wood and can be traced back to Babylon and Egypt. The locks and keys were large, heavy, and impractical. Aside from the weight, the wood locks were susceptible to brut force attacks. The wood devices were eventually replaced when engineers from Ancient Rome improved the design and began using iron and bronze which provided a stronger, more reliable lock. The keys were smaller and the devices became more practical. Little changed in the design of the mechanism until the mid 1800’s when Linus Yale Sr. and Jr. introduced the modern flat keys. Skeleton keys, however, continued to be used in most houses until after WWII when the pin tumbler lock (or Yale lock) took over. You will find that the doors in many homes built in the 1940’s and earlier still have functioning mortise locks operated by skeleton keys. This heavy iron lock from Germany and oversized skeleton key sits in one of the front windows of our showroom. The large 8.5″ key is shown next to a normal sized skeleton door key. Our fascination with keys lie far beyond their practical use. Keys unlock more than just doors. There are many Biblical references to keys, including the passage in Revelation 1:18 where Jesus proclaims to hold the keys of death and Hades. You often hear someone refer to their true love as “holding the key to their heart.” Dignitaries are presented with the key to a city as a symbolic gesture of good will. The Gothic trefoil design found in many of the earliest keys is symbolic of the Holy Trinity. Whether a young boy proudly carrying an old skeleton key in his pocket or a woman sporting one around her neck, there seems to be something magical about keys… it is as if the revealing of some mystical treasure or deep dark secret awaits, that only the right key will unlock! If Opportunity Doesn’t Knock… Build A Door! If you’ve ever created anything with your own hands, you know how rewarding the end result can be. From decorating a cake, sewing a garment, painting a canvas, sculpting a piece of clay or building a door… it’s not what you create that matters, it’s that you took the opportunity to try the creative “process” that’s important. Stepping back and admiring your finished work brings a fulfilling sense of accomplishment. Even if the finished work has flaws or imperfections, each work is unique because it was hand crafted. Our Southern Accents wood workers always feel a sense of pride with each completed project, and they should. Josh and Roger typically pull out their phones and take a photo of each completed custom piece. Roger takes it one step further… he plans his vacation route each year so that he can stop and see at least one of the doors he has built, that is finished and installed on a customer’s home. This photo is one that Roger took a few years ago as he traveled to his favorite vacation spot, St. Simons Island. This set of beautiful, double arched entry doors are a custom pair that Roger built for one of our customers. When we build a set of custom doors, whether the customer picks them up or whether we deliver them, they leave our wood shop unfinished. Once the doors are in the owners hands, it is up to them to do the finishing work and installation, so we seldom get to see the fully finished product. While we always admire the beautiful hand work of our completed custom doors, having the opportunity to see the doors fully finished and installed brings about a whole new level of pride! Roger didn’t have to travel far to see this finished door… it is installed one door down from our showroom! When building custom doors, Roger will keep track of the customers who are within a reasonable driving distance of his yearly vacation itinerary. He plans at least one stop each year to view one of his handiworks! He will stop and knock on the door in hopes that the owner will be home. When he can catch them at home, he explains that he is the one who built their door and will ask to take a photograph. Artists understand the fact that with each creation, we give a little piece of ourselves. Having an opportunity to hear the owners excitement, love, and appreciation for our creation heightens our reward and sense of accomplishment. Building a custom door by hand is a tedious, time consuming task. Our guys take a tremendous amount of care with each new job and are rightly proud of their work. If you are in the market for a door that is crafted by hand and truly one-of-a-kind, give us a call or stop by the showroom and let us show you what we can offer! The door on the left is an antique door that we salvaged. The door on the right is a custom door that we built… we mimicked the style of the antique door, creating a new entry door for our customer. This week we were honored to help welcome members of the Alabama Museums Association to Cullman, Alabama. Members of the Association gathered in Cullman for their annual conference. Southern Accents owner, Garlan Gudger, Jr., met with the participants Sunday night at the St. Bernard Retreat Center. After issuing an official welcome to the crowd, he spoke about the revitalization efforts that have taken place in downtown Cullman in the wake of the 2011 tornados, many of which he has spearheaded. Garlan also spoke about the history of Southern Accents and filled everyone in on recent changes to our big event this fall, Southern Makers. After showing off his JFK door knob from his private collection, he opened the floor for a question and answer session. We were thrilled to be able to host the reception this week for the Alabama Museums Association. Approximately 50 members of the AMA joined us after hours to enjoy a few refreshments during cocktail hour while shopping through our showroom, warehouse and outdoor lots. We were quite honored to have had the opportunity to speak to members of the Alabama Museums Association as well as host the group at the showroom Monday evening. Having a group of people who are involved throughout the state with protecting pieces of our history, keenly interested in our preservation and restoration efforts, fuels our passion for salvaging architectural elements of historical significance. 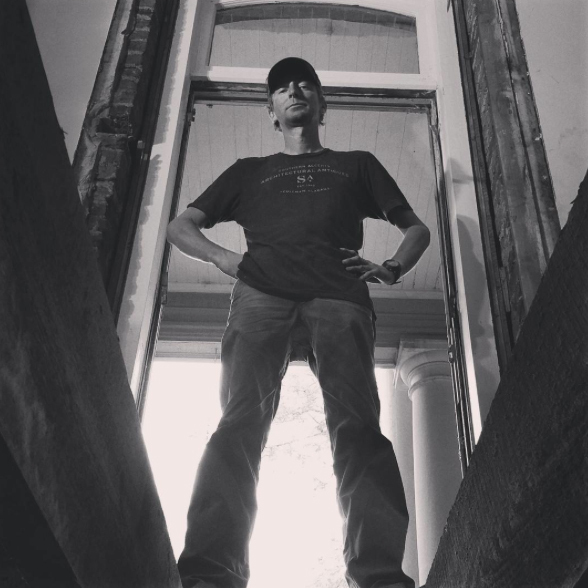 A continually growing part of our architectural salvage business is in the area of reclaimed wood. This highly sought after commodity, which is available in salvaged wood planks, beadboard, shiplap, barn wood and salvaged hand hewn beams, is being used in a wide variety of ways. From flooring, wall facades, ceiling coverings, furniture, fireplace mantel shelves, table and counter tops, artwork and more, old wood is being given a new life! In our wood shop, we use reclaimed wood in the creation of many of our custom built doors. While our customers who are using salvaged wood are spread throughout the country, we have recently been involved in two local projects that we want to highlight. Our good friends and fellow downtown business owners, Rob and Mary Ellen Werner, recently came to us in search of salvaged, white “chippy” painted bead board. The bead board was recently installed on the front and side wall of their retail shop, Werner’s Trading Company, located on HWY 278. The white wood walls brightened up the front sales area, as well as created a great backdrop for their selection of menswear. When asked why they chose reclaimed wood for this space, Mary Ellen replied, “we just LOVE wood!” They also expressed their belief in the importance of repurposing salvaged material. Werners new wall covering looks fantastic and Rob and Mary Ellen could not be more pleased with their choice of material for this project. Another local project that we have been involved with is the renovation of the historic Parker Bank building that is located on the same block as Southern Accents showroom. The top floor of this beautiful old building will be the new residence for the current owners, Ron and Trena Pierce. The bottom floor will serve as an office space for Ron’s business. Salvaged wood has been used throughout the building during the renovation process. Wood slats salvaged from Bonhaven was repurposed to create a stunning parquet floor at each entrance. Upstairs, in the master bedroom, salvaged wood was used to create a unique accent wall that will serve as the backdrop for the master bed. Down the hall, the guest bedroom is equipped with three, custom built bunk beds that will soon be ready for the grand children’s visits! The built-in beds were constructed from salvaged gym bleachers and industrial pipe. We can’t wait to post photos of this finished project in coming weeks! In the mean time, visit our wood showroom at 250 Janeway Drive and let us show you our current inventory of salvaged and reclaimed wood for your next project! The gorgeous white wood wall at Werner’s provides the perfect backdrop for their selection of mens wear. The salvaged wood accent wall will serve as a backdrop for the master bed in the renovated Parker Bank building. In an effort to make the best use of their limited space, a set of custom, built-in, bunk beds were constructed in what will be a guest bedroom for the three grandchildren. The beds were constructed from salvaged gym bleachers and industrial pipe. We believe that through our efforts here at Southern Accents, we always bridge the future to the past. One of the most interesting things about salvaging a house or building is discovering hidden treasures. At times the treasures are unexpected; little notes or photos that have slipped behind an old mantel or a forgotten item found buried beneath an old barn. Often times the treasures aren’t hidden at all, but might take a bit of digging to uncover, like the value inside boxes left in an attic that tell the stories of the former owner. We found such an example recently while salvaging the sanctuary of Central Baptist church in Decatur, Alabama. Our latest salvage mission involved the former sanctuary of Central Baptist Church in Decatur, Alabama. This beautiful building, constructed in 1926, was recently scheduled for demolition. The new property owner, Jeff Parker, could not bear to see over 100 beautiful stained glass windows and the many architectural elements go to waste. Therefore he contacted Southern Accents to salvage everything we could from the 90 year old building. 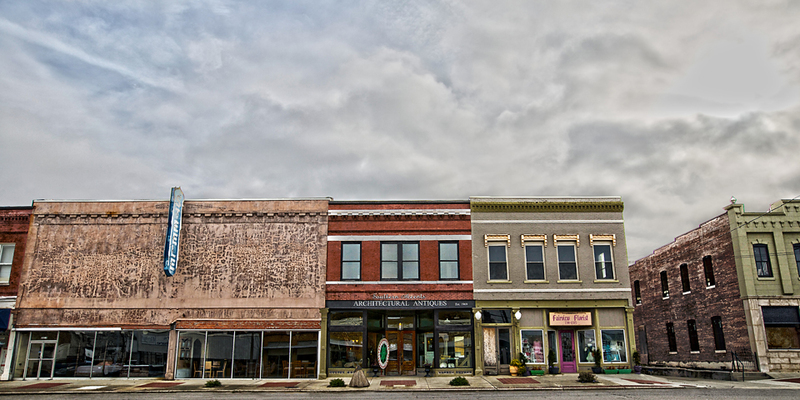 Over the past several weeks we made several trips to downtown Decatur. In addition to the stained glass windows, we removed doors, newel posts and light fixtures, but our most exciting find was a small package tucked away inside a cut limestone cornerstone. We noticed the cornerstone at the back of the building. The stone was dated 1926, which told us that it was original to the building. We removed the stone, thinking that we might find a treasure behind it. What we did not expect, was a treasure hidden inside. Cut into the center of the stone was a 6″ x 6″ pocket. Inside was a small package wrapped in brown paper and tied with a string. The package was about the same size as a deck of playing cards. It was carefully removed, documented and brought back to our showroom in Cullman, Alabama, along with the stone for documenting. We cautiously unwrapped the package to discover 351 paper cards! Each card contained the signature of a church member, along with the name of his/her Sunday School teacher. While not all of the cards were perfectly legible, all that were have been recorded and placed in an excel spreadsheet for future generations. Once documented, we called Jeff Parker. He, along with Southern Accents, agreed to give the cornerstone and the package containing all the cards to Central Baptist Church. SA and Jeff Parker will present these items to pastor Rob Jackson next spring during Central Baptists anniversary celebration. It is our wish that this precious piece of history remain with the church family. Please visit our blog for more photos from the Central Baptist Church salvage mission. For the second time in the past three years, Southern Accentshas received the “Best of Bama Award” from Alabama Magazine for the best antique store in the state! We are both humbled and honored and would like to extend a HUGE THANK YOU to the readers of Alabama magazine, as well as, our loyal customers for casting a vote in our favor. We do not take these awards lightly. To receive this type of recognition propels us to push ourselves to new heights. We are passionate about the business of architectural salvage. Reclaiming a part of history and preserving it for the future is a daily goal for us. We delight in customers who walk through our showroom and share our excitement and passion for the antique and vintage relics that fills our space. We love assisting customers in selecting the right architectural items for their project, while helping them design custom, one-of-a-kind pieces for their home, business or event. Being able to show up for work each day and do something that you love is a dream for many, but it is a reality for our team of talented creatives. Alabama Magazine is a favorite of the SA Team. You can pick up the latest edition on newsstands now, which contains the complete list of 2016 Best of Bama Award winners. We have several complimentary copies available at our showroom while supplies last! Visit our showroom and warehouses Tuesday – Friday from 9am till 5pm and Saturday from 10am till 4pm. Our showroom is closed Sunday & Monday. You can visit us online 24/7 at SA1969.com. Follow our social media accounts to keep up with all the latest happenings with the SA Team! Every week we have customers who walk through our showroom looking for that architectural piece that “speaks to them”. Each time we hear these comments from customers, we grin, because we know they’ve come to the right place! At Southern Accentswe tend to think of our inventory, not as pieces of wood or metal, but as historical elements with a story to tell. For example, we wonder how many of our doors have served both as a sign of welcome, as well as a source of protection from weather in someone’s home. We imagine the many souls who have passed through the door ways. Each of our doors has it’s own unique story to tell, a story that grows richer with time. Lighting, while an essential element in every home, has it’s own story to tell. We are curious about which of our lights might have provided comfort to a frightened child at night who was scared of the dark, or which light kept vigil all night with a student studying for a final exam, or kept watch as long time friends or family visited well into the dark hours of the night. Which light might have been dimmed to create a romantic setting for that young man asking the girl of his dreams to be his wife, or which one was faithful to greet it’s owner each morning before daybreak as he prepared for work. We think about how each fireplace mantel could have framed the only source of heat for someones home. We envision the many stories told, and secrets shared by those gathered in front of the warmth of the flames. We wonder how many of the hearths have provided a home for treasured photos and family heirlooms as well as supported the weight of many a Christmas stocking filled with holiday goodies. While we love to envision the treasured memories and happy stories, we also realize that many of our pieces have bore witness to sad events. The death of a loved one, men marching off to war, the hard times experienced by many households during times of economic distress. Whatever the story, good or bad, each one is a part of our history that deserves to be preserved. We feel strongly that with each architectural piece that we save, we are protecting a piece of history, an element of someone’s story that deserves to be safeguarded for future generations. Each piece that we rescue will be given the opportunity to be a part of a new story. When you stop by our showroom, take time to really study the pieces and allow them to speak to you. Choose the ones that you want to include in your story and know that with each piece you select, you are helping to preserve a piece of someone’s history as you write your own. 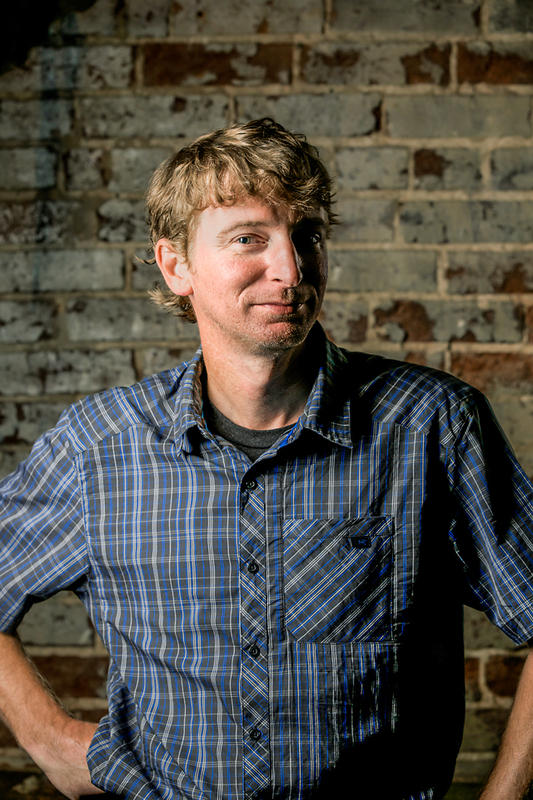 We would like to introduce you to Southern Accents newest team member, Jeremiah Connell. Jeremiah joined the SA team around the first of August. Jeremiah grew up in Cullman, and after graduating from Cullman High School, moved to Tuscaloosa where he attended the University of Alabama. After leaving Tuscaloosa, Jeremiah spent time moving around the state, from Huntsville to Mobile, finally returning to his hometown a couple of years ago. Jeremiah describes himself as a “jack of all trades”. He spent many years working in the construction industry doing everything from framing, to electrical, to pouring concrete. Jeremiah also has close to 14 years experience in the restaurant industry. Quite a few of those years were spent in sales, working for a wine company. Jeremiah traveled around the state conducting wait staff seminars where he educated waiters on the art of pairing wine with food. His knowledge of and experience in the wine industry has served him well as the love of his life, Candace, owns a local wine store, the Vine Cellar. Jeremiah loves spending time outdoors, especially camping. He is a fantastic cook, with the grill being his cooking utensil of choice. While on a recent salvage job with the SA Team, Jeremiah put his cooking skills to good use, grilling pork tenderloin for the guys after a long day of salvaging wood flooring from an 1884 house. Jeremiah and his grill are now at the top of the “packing list” for all future salvage jobs!! Jeremiah also enjoys concerts and college football. He can be found most Saturdays cheering on the Crimson Tide football team! The newest SA Team member, Jeremiah, was indoctrinated last week into the business of architectural salvage! Salvaging a house built in the late 1800’s is a DIRTY job… but someone had to do it! We are thrilled that Jeremiah has joined the SA Team! You may see him driving down the road or you may bump into him at one of our showrooms. When you do, please be sure to stop and say hello! Jeremiah and the rest of the team welcome you to visit us Tuesday – Friday from 9am to 5pm and Saturdays 10am to 4pm. Cullman, Alabama is known for many things. We are continually hailed as one of the best places in Alabama to raise a family. Our school systems rank among the finest in the state. The downtown area, home to Southern Accents, has undergone a major revitalization since the tornados of 2011. Our small town is growing by leaps and bounds! Since we get a lot of requests from our customers asking us to keep them informed of fun events in our lovely town, we thought we would dedicate this week’s newsletter to just that! Not that you need an excuse to come and vist SA… here are a few fun family events coming your way! This Saturday, September 19th, Cullman Parks & Recreation presents the Cullman Wing Street. This is Park & Recs BIGGEST COMMUNITY EVENT OF THE YEAR: Wing Street Cullman (formally known as Clucknbrew) will be held at Depot Park from 2:30 till 10:00 pm. Activities will include a wing cook off, games and activities, food and beverages, and a game day tent for football fans. Visit Cullman Park & Recreation online for a complete schedule of events. September 22 through October 1, don’t miss the Cullman County Fair! Sponsored by the Cullman Lions Club since 1954, the Cullman County Fair has been recognized as the “Best of the Best” at both the state and national levels. For more information and a calendar of events, visit cullmanfair.com. Saturday, October 24 is the Peinhardt Living History Farm Day. This is an educational family farm that focuses on rural life in the 1930’s and 40’s. Tour the farm and experience life and living as it use to be. Farm day is filled with demonstrations, barn yard animals, and living history. This once-a-year event should be on your must do list!! Visit peinhardtfarm.org for more information. And of course… a trip to Cullman would not be complete without visiting the largest architectural antique store in the Southeast!! Visit Southern Accents showroom and warehouses Tuesday – Saturday or you can visit with us 24/7 online at www.sa1969.com.